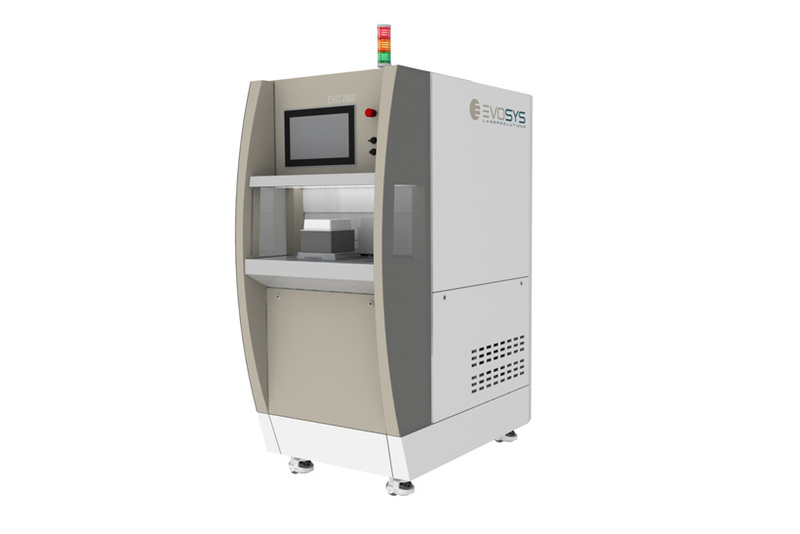 With the new EVO 2800 welding machine, Evosys Laser GmbH has responded to customer requests and developed a system that is equipped with the latest laser plastic welding technology and can be used quickly, space-savingly and economically in production. The EVO 2800 is a universal laser welding machine for processing small and medium series. Depending on the application, the system can be equipped with different laser sources and optical modules, thus offering a wide area of operations. With a footprint of approx. 1m², the system fits into any application environment. Virtually maintenance-free and service-friendly, the EVO 2800 is predestined for use in 24/7 production. For convenient operation, the system is equipped as standard with the intuitive EvoLaP process software and can therefore implement a wide range of different machining tasks. The new system is ideally suited for use in the automotive sector as well as in the medical technology and pharmaceutical industries in the variants developed for this purpose. Possible applications include the manufacture of sterile packaging, microfluidic components and lab-on-a-chip systems. The EVO 2800 is designed for manual assembly by an operator as well as for automatic assembly by a handling or robot system. The EVO 2800 undergoes Evosys Laser GmbH’s proprietary sophisticated CQC procedure. The so-called “Calibrated Quality Concept” ensures that the welding process technology of different systems is comparable. The system is available with various online monitoring modules to ensure quality even during production at the customer’s site. “The development of the EVO 2800 is based on decades of experience of our engineers in the field of laser welding of plastics. We are convinced that the system is the benchmark in this field,” says Frank Brunnecker, Managing Director of Evosys Laser GmbH.